I've been on the site can't find it. 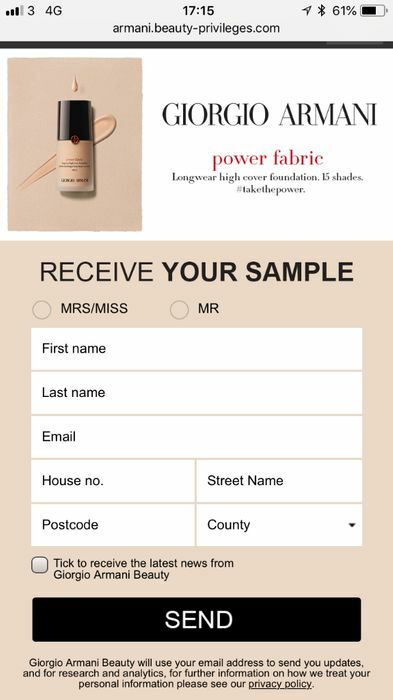 Advanced apologies if/for coming across a bit dim/being a pain in the rear end.... but I've looked on the website as I also couldn't use the link but I can't seem to find where to apply/request the sample... Any pointers in the right direction please!!! Lol.. Thanks in advance for any help!!!! I've just been on the site can't find it and were.